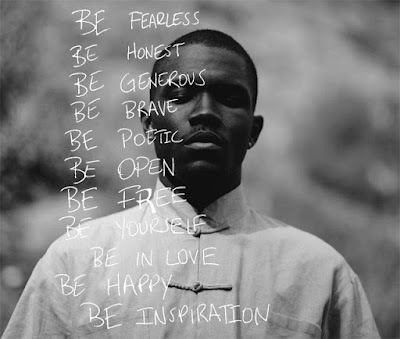 In 2012 music artist Frank Ocean came out of the closet in front of the world proclaiming that he had fell in love with another man. He went onto release his album Channel Orange that to this day is a very solid project that his fans love & are yearning for more. While the world is still in much disbelief over the very unfortunate acts of the slaughtering of the many LGBTQ lives that were taken, Frank has now spoken out about it. In a very lengthy letter he expressed his compassion & also touched on topics surrounding the world & how the community has been negatively treated. Read the letter after the jump. “I read in the paper that my brothers are being thrown from rooftops blindfolded with their hands tied behind their backs for violating sharia law. I heard the crowds stone these fallen men if they move after they hit the ground. I heard it’s in the name of God. I heard my pastor speak for God too, quoting scripture from his book. Words like abomination popped off my skin like hot grease as he went on to describe a lake of fire that God wanted me in. I heard on the news that the aftermath of a hate crime left piles of bodies on a dance floor this month. I heard the gunman feigned dead among all the people he killed. I heard the news say he was one of us. I was six years old when I heard my dad call our transgender waitress a ****** as he dragged me out a neighborhood diner saying we wouldn’t be served because she was dirty. That was the last afternoon I saw my father and the first time I heard that word, I think, although it wouldn’t shock me if it wasn’t. I daydream on the idea that maybe all this barbarism and all these transgressions against ourselves is an equal and opposite reaction to something better happening in this world, some great swelling wave of openness and wakefulness out here. Reality by comparison looks grey, as in neither black nor white but also bleak. We are all God’s children, I heard. I left my siblings out of it and spoke with my maker directly and I think he sounds a lot like myself. If I being myself were more awesome at being detached from my own story in a way I being myself never could be. I wanna know what others hear, I’m scared to know but I wanna know what everyone hears when they talk to God. Do the insane hear the voice distorted? Do the indoctrinated hear another voice entirely?"